Brief Course Description What does it mean to be deaf in Japan, a wheelchair user in the United States, or mentally ill in the former Soviet Republic? Through examples drawn from around the globe, this course explores disability from a cross-cultural perspective including the development of disability identity, disability culture, disability law, and disability politics. Disability Studies understands disability as a cultural construct. This does not mean that physical or mental impairments are not real, but that conceptions of the body and its possibilities and impossibilities, normativities and abnormalities are constantly mediated through social norms and mores, as well as the physical and social institutions in which we move. 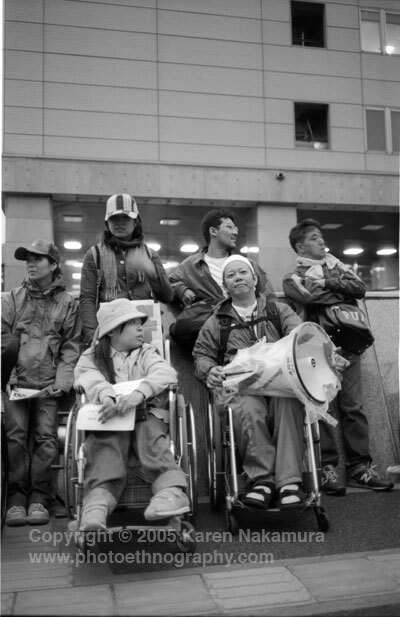 Disability Studies examines the contigency of the disability category from social, legal, institutional, biomedical and personal perspectives, using both transhistorical and cross-cultural analysis. As with the allied disciplines of Women’s Studies and Queer Studies, Disability Studies has an intimate and often fraught relationship with activist communities, state actors, non-governmental organizations, and other mechanisms of social stasis and change. Using examples drawn from various points in history, various countries around the world, and various disability categories, we will examine the contigency of the disability category from social, legal, and personal perspectives. Students will read a variety of ethnographies, autobiographies, and case studies in order to understand the variety of the disability experience, including psychiatric/psychosocial and intellectual disabilities. We will also explore disability legislation in various parts of the globe, including the failures of the Americans with Disabilities Act and the creation of the new United Nations Convention on the Rights of Persons with Disabilities. This class will draw from critical disability studies, feminist, and queer theory.